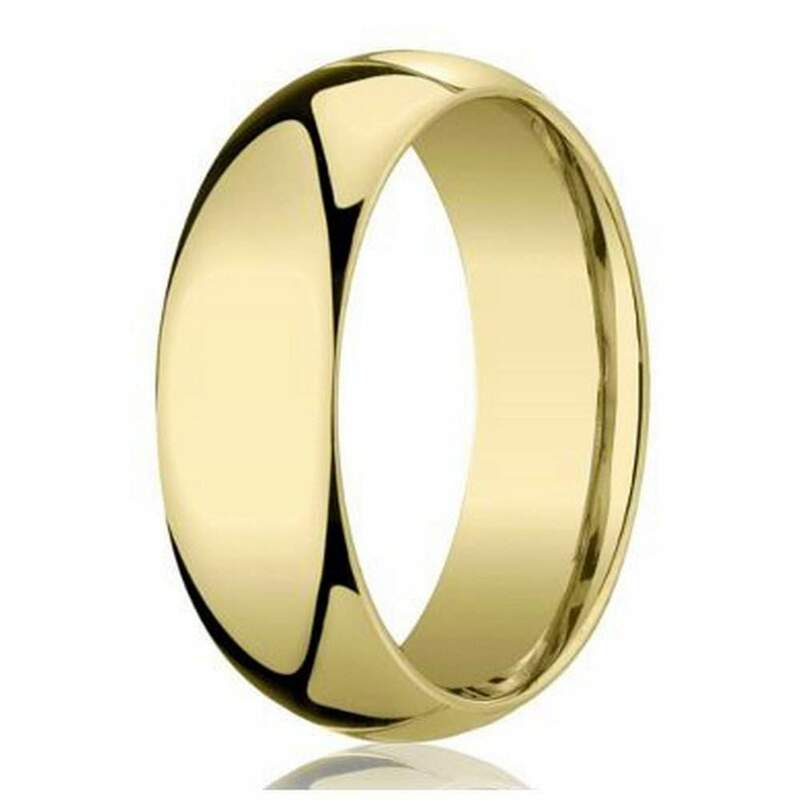 When it comes to men’s wedding bands, there is simply nothing comparable to gold. The way it looks, stands out, and shines in the light. That is why we are excited to show off our selection of men’s gold wedding bands. It features many beautiful styles and designs that will work for anyone. When you purchase from our selection of men’s gold wedding bands, you also receive a lifetime guarantee, lifetime resizing, and free engraving options. We do everything we can to ensure you receive the best value, and superior quality when you shop with us. Our gold wedding bands look smooth, shiny, and have deep tones that are beautiful and sophisticated. Our selection includes a great variety that includes many different sizes and dimensions so you can find the perfect fit. We have the best variety when it comes to gold bands. Our choices include diamonds on the band, polished finishes, grooves, rope details, and so much more to choose from. No matter what your sense of style is, we can help you find something you’ll love. Most men are not sure what they will like when they first start shopping with their future wife. You could look for something that goes well with her ring, or simply browse all the options. 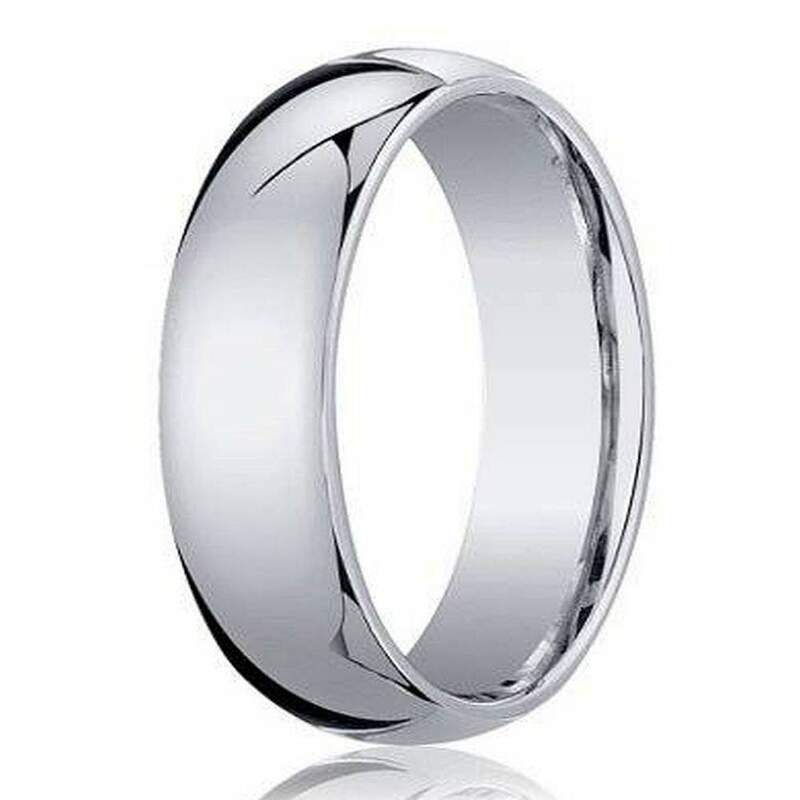 While some of our men’s gold wedding bands are more expensive, we still offer the best value you’ll find online today. These are worth what you’re paying, they will feel comfortable, look great, and last a lifetime. What more could you possibly ask for out of a beautiful wedding ring? Shop our selection and find the perfect choice today!